Today begins a new segment of my blog! 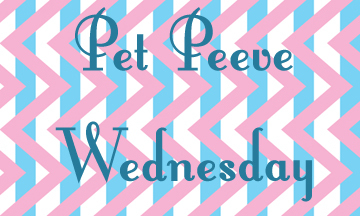 Pet Peeve Wednesday! 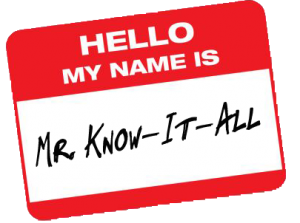 Know it all's! to be a little more precise those that when they drink think they know better than you and even if you were trying to tell them it was dark outside they would argue with you. Ok not an actual argument I have had some one use but you get the picture right??? Do you have anyone in your life like this? Please share and let me know I am not alone in this!